The Silver and Black, The Nation, The Men in Black, America’s Most Wanted, Spikey McPokeys, The Scary Larrys. These are just some of the nicknames given to one of the NFL’s most historic franchises, the Oakland Raiders. The Raiders and the Houston Texans face off tonight in Mexico City. This is the first time in NFL history the two teams will play a game with any real impact. The Oakland Raiders sit at 7-2, holding onto first place in their division by a game and a half. Likewise, the Texans are 6-3 with their own game and a half lead. The two division leaders are facing off in unfamiliar territory with so much on the line. but not all division leads are created equally. More than anything, the Texans are not an impressive 6-3 team. They were able to beat average and slightly above average teams, but against truly good teams, they haven’t even been competitive. What remains to be seen is if the Raiders are a truly good team and if the Texans can change the narrative. And don’t be mistaken, there is a narrative. The Texans aren’t just playing horribly against good teams, they tend to choke in prime time games as well. They just picked up their first road win last week against a now 2-8 Jaguars team. This is not photoshopped. A billionaire cuts his hair this way. Being the son of Al Davis does not lead to normal judgments in life. In addition to their poor road performances, the offense has not been a consistent threat to score. Quarterback play and coaching have been seriously embarrassing. If you were foolish enough to buy a Brock Osweiler jersey, you probably feel as stupid as Raiders’ owner Mark Davis looks. I’m getting winded just thinking about it. Despite being an article about our impending doom, there is some hope. The Raiders have been the beneficiary of a lot of close games against mediocre teams. Although being able to squeeze out those close games is a sign of a great team, it shows they’re not unbeatable. Houston’s fan base is quickly approaching the moral victory philosophy where they just hope to not be embarrassed. And I don’t blame anyone for feeling that way. In our first three road games of the season, against very competitive teams, we have been outscored 85-22. That may seem like a huge difference, but I did the math. That’s only about 419 Bill O’ Brien screen passes that go for 3 yards away from being competitive. Hopefully things are different in Mexico City. Don’t expect a clean game from either team, there are too many factors that will make this a sloppy game. In your typical Silver and Black tradition, the Raiders are leading the league in penalties. The Texans offense is so confused and unable to progress, I’m reminded of a young boy trying to unhook a bra strap for the first time. Or even myself, trying to unhook a bra strap now. Those hooks defy logic. But maybe this week is different. 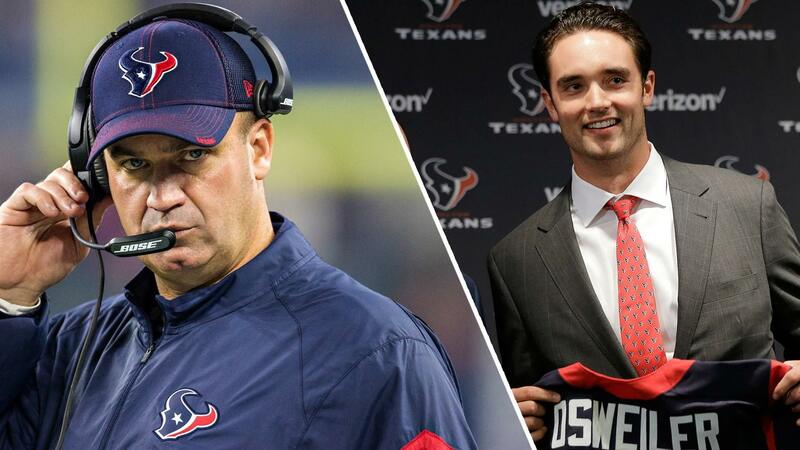 Maybe the Texans have things fall into place and get an impressive win. Hell, even if we lost but put up some points, there could be some major positives to take away from tonight. Prepare for the worst, and hope for the best.